Um…I like yarn? 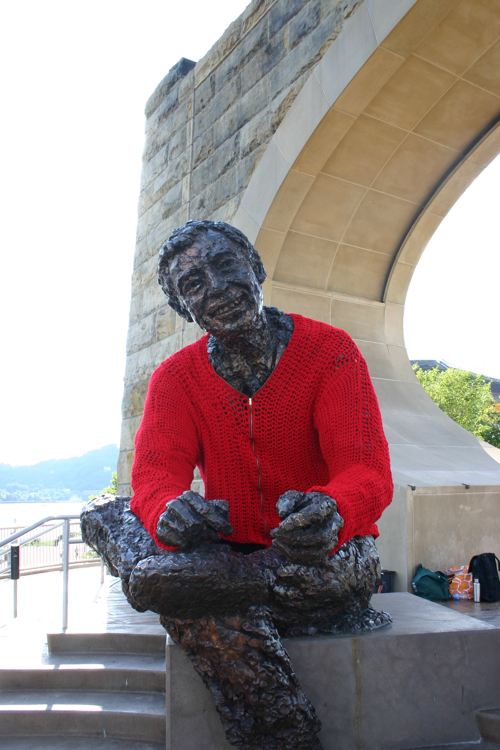 Mister Rogers sweater! | Create! Um…I like yarn? 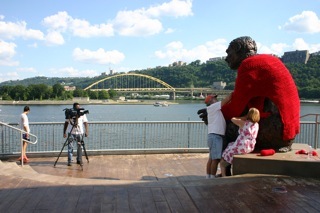 Mister Rogers sweater! That’s amazing! How big was the crochet hook? This is so incredible and brought a smile to my face. Good work! 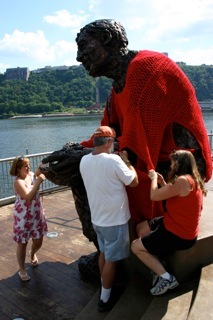 Gee, I wonder how Robert Berks thinks about the sweater on his work? (oh, he’s death, so I guess he not thinking much about it. i made mr rogers a scarf last thanksgiving. i was thinking of making a cardigan! love it!!! That’s fabulous! Did you take all his measurements first, or just made it up as you went along? Thats awesome. I would love to see that in person. i love it! 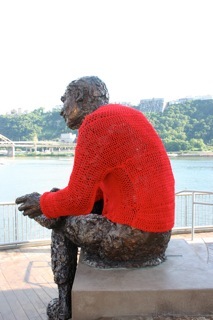 the statue makes me happy; your sweater intensifies the effect. Complete with zipper! I love it. 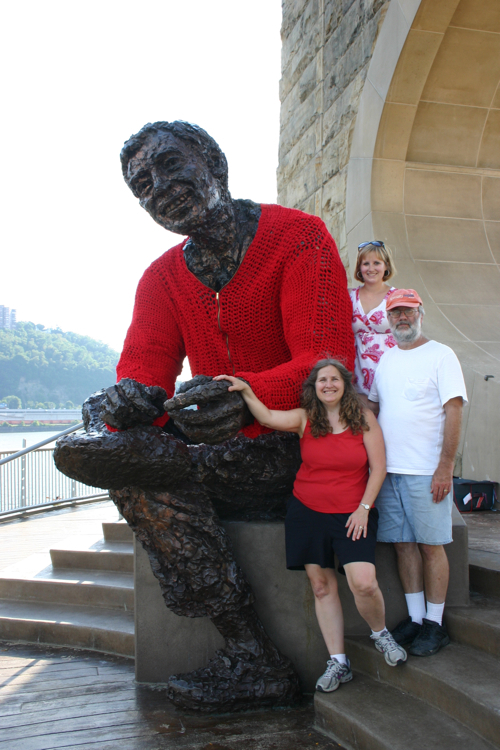 Mr. Rogers’ mother – who knit all his sweaters that he wore on the show – would be so proud! That is soooo cool! I’m sure he is smiling down on this! This is terrific! Thanks for creating it. I’ve been waiting for someone to do this! You made a great sculpture even better! You go girl! We should work together sometime (I’m in DC area). 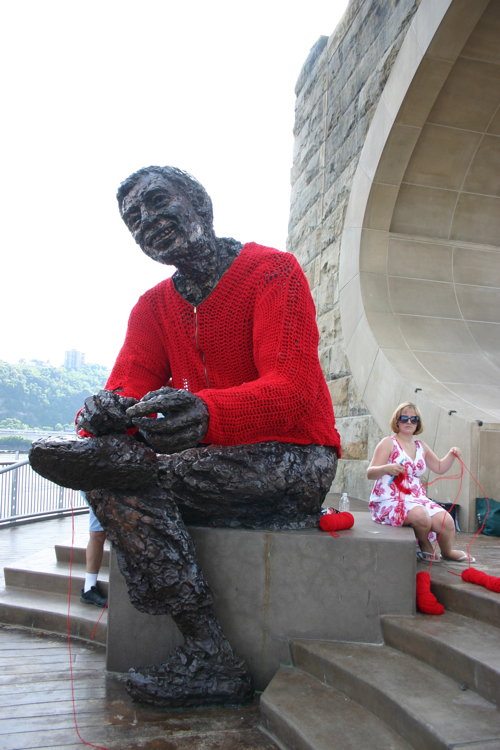 Yarn-bombers unite! Very good work! I wonder how many hours it took to make this sweater. affordable and convenient alternative to traditional household cleaning methods that introduce toxins into the home and can promote health problems for families and pets. It makes the list for one of the best time management games due to its replay value. to put out the fire within 10 minutes early.